Join the League of Explorers and embark on the adventure of a lifetime. Explore Azeroth's most mysterious archaeological sites and discover ancient treasures! Travel alongside famous treasure hunter Brann Bronzebeard and his merry band of intrepid action-archeologists on a race to uncover the pieces of the Staff of Origination, a priceless, ancient artifact. But beware, for you are not the only one who's hunting the artifact. Others have picked up the scent as well, so you'll have to play your cards right to stay one step ahead of the competition and keep the Staff of Origination from falling into the wrong hands! 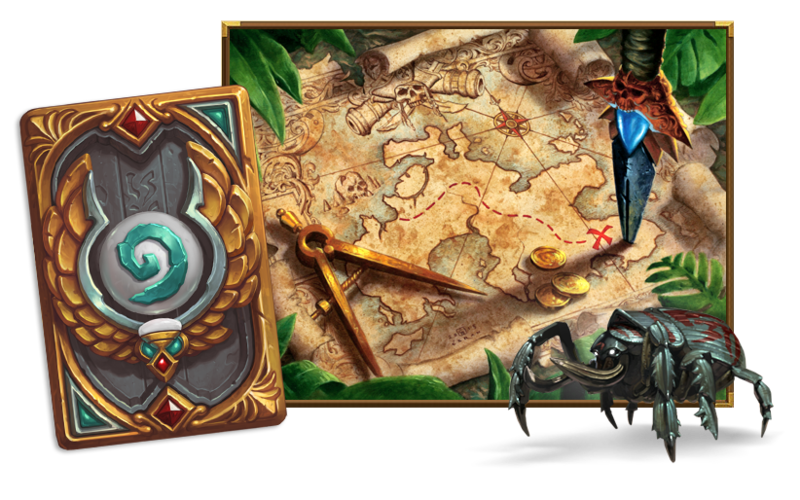 Dust off the old explorer's hat, pack your cards, and let the adventure begin!